Experience Urban Living- Just minutes away from Downtown Raleigh, you’ll thrive in the heart of all that’s happening. A vibrant, buzzing locale, mixed with a nightlife that will never disappoint. This is your ideal location and this is your chance to call it home. Incredible retail and gourmet restaurants just steps away. Not in the mood to step out? 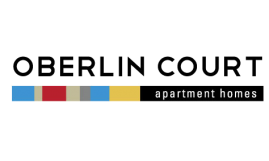 Enjoy all that Oberlin Court has to offer! Watch a movie in our theater or relax poolside, enjoy grilling at one of our three court yards or play pool at one of our two clubhouses. Take in the sites from our roof top terrace or relax in or Zen Garden and Sauna. If fitness is your thing then you came to the right place. Our 24 hour fitness center is one to impress. At Oberlin Court you will get more then you expected but everything you deserve.